Don’t want to drive? We have arranged for King Ward buses to pick up our guest at various locations around New England. All bus schedules and locations are listed below. Please note that all bus tickets will be purchased by cash only and upon loading the bus. The best part is you don’t have to book ahead of time just make sure to show up on time! Sit back, relax and enjoy the ride. MGM Springfield Line Runs will get you to our beautiful location safely, and efficiently. You also get a $10 food credit that is redeemable at South End Market. To receive FREEPLAY and Food Bonus Package you must sign up for an M life Rewards Card upon arrival. Exclusive door to door service from your home to MGM Springfield available seven days a week. Morning, afternoon and evening services are available. This service is available in a variety of areas located in Connecticut and Massachusetts. Please call King Ward at (413) 593-3939 for information and reservations. Prices starting at $20.00 round trip. Casino package of $20.00 in FREEPLAY and $10.00 in food are available for customers 21 years of age or older. *Reservations Required. King Ward needs a minimum of 25 passengers to run the bus. Daily multiple schedules from Port Authority to MGM Springfield. MGM Springfield is located in Springfield, Massachusetts. Casino passengers receive a bonus package of $20.00 In Free Slot Play and a $20.00 Food Credit to South End Market. Must sign up or have an M life card to receive casino package. Daily multiple schedules from South Station to MGM Springfield. MGM Springfield is located in Springfield, Massachusetts. Daily multiple schedules from Albany, NY to MGM Springfield. MGM Springfield is located in Springfield, Massachusetts. Discover Cal Mare by James Beard Award-winning Chef Michael Mina; fine steaks and seafood at The Chandler Steakhouse; MGM's signature TAP Sports Bar; and the bustling South End Market off Main Street. You will find a resort that blurs the line between food and entertainment, and we can’t wait for everyone to see what we’ve been working on. 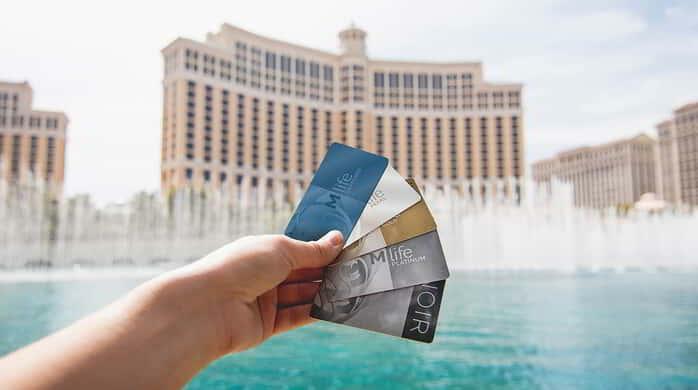 To receive FREEPLAY Bonus Package you must sign up for an M life Rewards Card upon arrival.